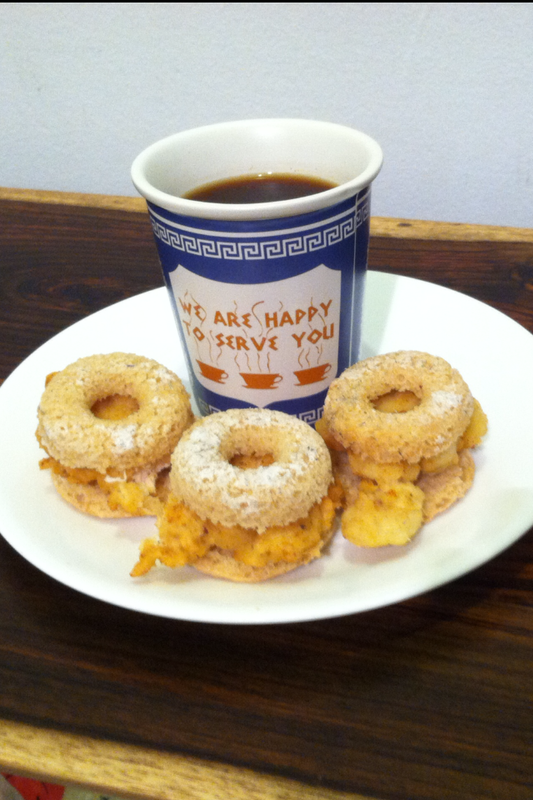 Donut Chicken Snackers with Coffee Sauce | sandwich surprise! 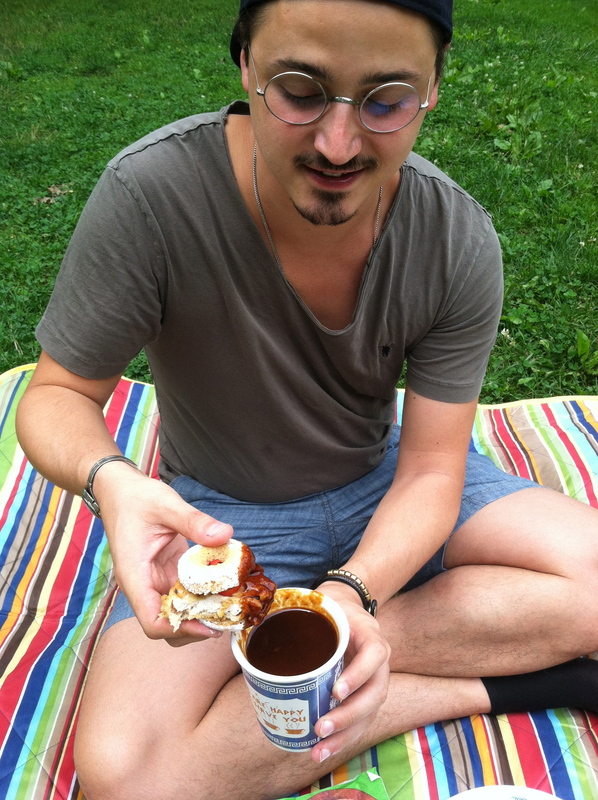 THE SANDWICH: Dude: It’s Donut Chicken Snackers with Coffee Dipping Sauce. THE INSPIRATION: The lavender cake donuts at Doughnut Plant — so. damn. good. 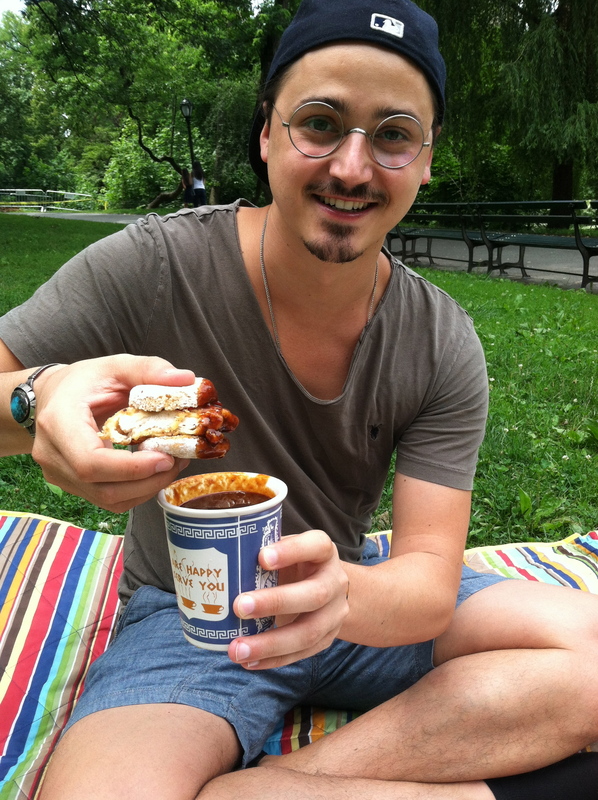 Also, I made the coffee sauce with a BBQ bent to it, because I’m already looking forward to next year’s Big Apple BBQ! Lavender cake donuts — Get these at Doughnut Plant while you can! Or you can buy cake donuts and coat them in your own powdered lavender sugar: grind 3 tablespoons of regular sugar with 1/4 to 1/2 teaspoon of lavender flowers in a coffee grinder for 10-20 seconds. I made the donuts myself by tweaking a cinnamon cake donut recipe by Ina Garten, and then rolling them in fresh lavender sugar. Breaded chicken patties — You can buy these pre-made or pre-cooked. I made my own with organic skinless chicken breasts, pounded thinner with a meat hammer, coated with beaten eggs and Ronnybrook drinkable peach yogurt, dredged in a spice-herb-flour mixture, and pan-fried in canola oil and a little butter. Coffee dipping sauce — I reduced 1 cup of coffee — from whole beans roasted by my old employer, Willoughby’s Coffee, in Connecticut — with 1 cup ketchup, 1/2 cup red wine vinegar, 1/4 cup organic dark molasses, 1/4 cup organic Worcestershire sauce and a few dashes of cayenne pepper uncovered over medium high heat. It’s a thin sauce, so you can add cornstarch slurry to it to thicken it slightly, if you prefer. Optional: Fresh Fresno chiles — Sliced thinly. I met Erik when he was working at one of my favorite restaurants, Spice Market in NYC, and was completely amazed when he remembered me years later at Joe’s Restaurant, in Santa Monica. Since then, Erik has morphed into someone who could host his own Nat Geo show. Seriously: He raced wild horses across 1,000 kilometers of the Mongolia steppe for 10 days in 2012! You can check out his Facebook page here, where he’ll also be posting on this year’s Mongol Derby. 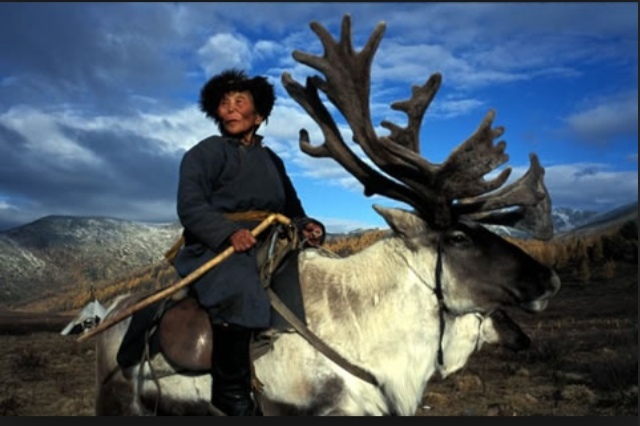 THE UPCOMING EPILOGUE: Erik is headed back to Mongolia in a couple months to ride reindeer with some of the 40 or so families left in the world who dare to mount them. I mean … exclamation points!!! Sandwich Surprise loves to surprise our friends! Also, please note: The content and pix here are copyright protected, which means you are not allowed to use photos or content from Sandwich Surprise on your website without my permission. If you want to republish this recipe, please rewrite it in your own words and link back to Sandwich Surprise to give my blog proper attribution. Thank you! Pingback: Peri-Peri Chicken Sandwiches — a.k.a. The 5 Seconds of Sammy! | sandwich surprise!